. إن الخدمات الممتازة وحسن الضيافة العالي في At The Sound Apartments تجعل إقامتك تجربة لا تنسى. يقدم هذا الفندق العديد من الخدمات الكفيلة بإرضاء أكثر الضيوف تطلباً. يمكن للنزلاء الاختيار من ضمن مجموعة من الغرف المصممة بعناية لتعكس جواً من الراحة، والتي يتجاوز عددها 22. كما أن مجموعة الخدمات الواسعة الموجودة في الفندق لضمان راحتك تترك لك الكثير من الخيارات لقضاء وقتك أثناء فترة إقامتك. مهما كانت دواعي سفرك فإن At The Sound Apartments هو خيار ممتاز لإقامتك في صن شاين كوست. Really disappointed with this place. Advertised as a 'excellent' but in reality appeared to be an old dated hotel that i wouldn't give more than a 2 star rating. The front door was rust stained and rattled in the wind, the bathroom was clean but needed some TLC and the kitchen was poorly appointed. Price didn't match the accommodation at all. Really disappointed. Great apartment, very helpful staff, wished we could have stayed longer. The place was nice. 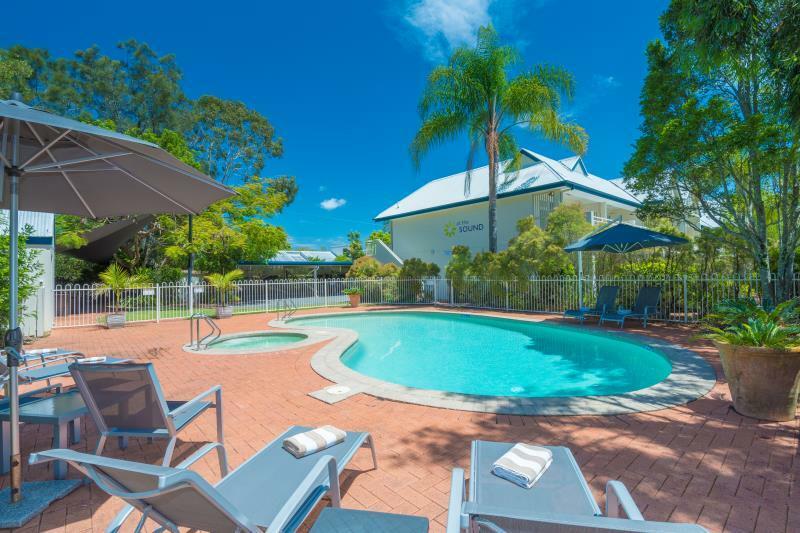 Our room was excacly the same as shown on the pictures and very clean.It is 20 minutes walk to the Noosa main beach but if you have a car it takes just 5 minutes to get there. Also close to the river. At the Sound ticked all the right boxes, just a stones throw from Noosa without being in it. Comfy and spacious room with lounge, dining and cooking facilities. I was up for a swim race, so having a chance to cook dinner and make a healthy breakfast was important. I was in a Garden Suite, so had a nice private courtyard. Stayed here for two nights. Couldn't fault the apartments in any way. Amazing & helpful staff with lots of recommendations of things to do in Noosa. 10 minute walk to beach/ Hastings street or $6 in an uber. 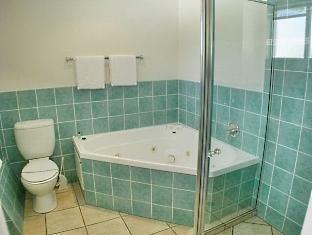 Spa bath in room was great & room was perfectly clean and tidy! Not a bad word to say about the sound can't wait to come back again, everything you need at a great price &a perfect location! Excellent place to stay for a few days. Close to Hastings Street. The room was very good. What destroyed our desire to recommend or again stay again was more relevant to noise. We were in a downstairs unit with a very noisy child above us and uncaring parents. The child (we assume) was occupying itself by moving the furniture around in the middle of the night and very early morning. The noise through the concrete above us was totally unacceptable. We got very little sleep and removed ourselves from our room much earlier than necessary. Good, ageing facilities that may prevent us going back. Very clean though! Good location, great facilities and no hassles having our 4 month old with us. It was a good sized apartment and the washing machine came in handy. Only con was that our unit floor got dirty and greasy from the salt and sand of the beach. This wouldn't have been an issue if there'd been a broom or our bath mat had been changed during our stay. This was only a minor issue in an otherwise fantastic holiday. I would definitely recommend these apartments and stay here again. Steve was lovely and very informative, the apartment was clean, tidy, spacious and just how it looked in the pictures. 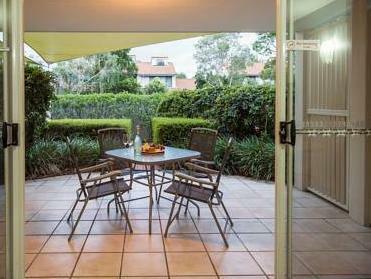 Great location as walking distance to both Hastings Street, National Park and Noosa River. Great location and a comfy bed. One of the best I've stayed in at Noosaville. Could not fault this place and will stay again whenever we are back that way. Extremely good value for money. A little noisy on the road front, but not too bad. Check in was extremely slow. Otherwise was perfect!